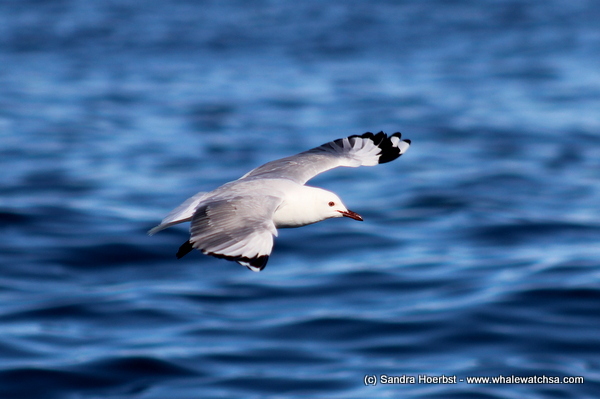 This morning the sky was a bit overcast, but it cleared up soon. 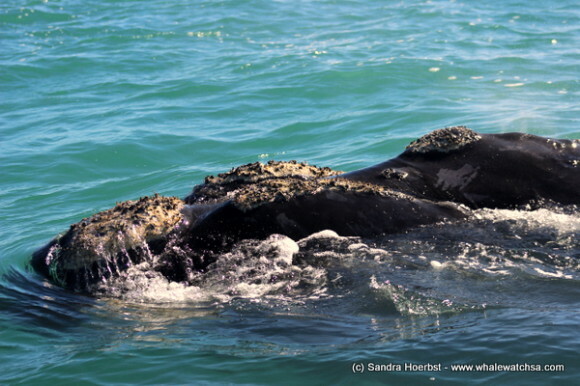 The sun was shining for us the whole day and obviously the whales liked the sun as well. 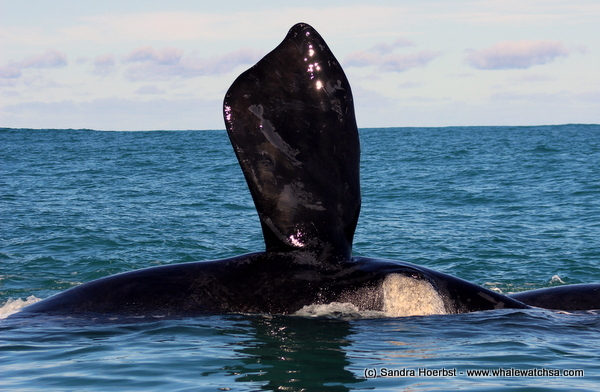 Today we found many Southern Right Whales at Pearly Beach again. A few of the whales were showing mating behaviour, rolling around and following the female when she moved away. 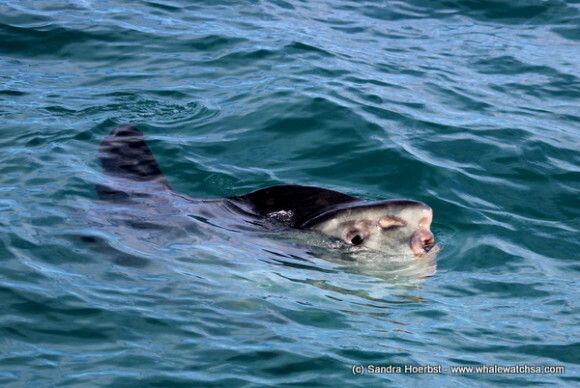 Shortly after leaving the whales behind we spotted a sunfish relaxing under the surface on our first trip. 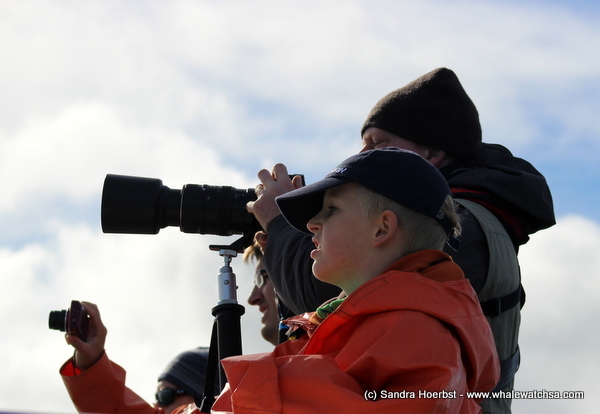 On both trips we were lucky and got to see some Humpback whales close to Dyer Island. After coursing through Shark Alley and watching the seals playing in the water, we were heading to our sister company Marine Dynamics to see a Great White Shark. 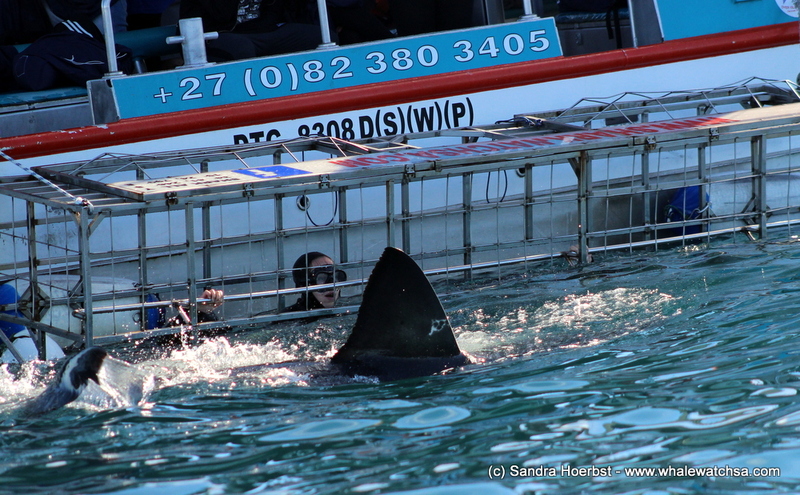 Arrived at their vessel we saw a 3.5m shark swimming around our vessel. 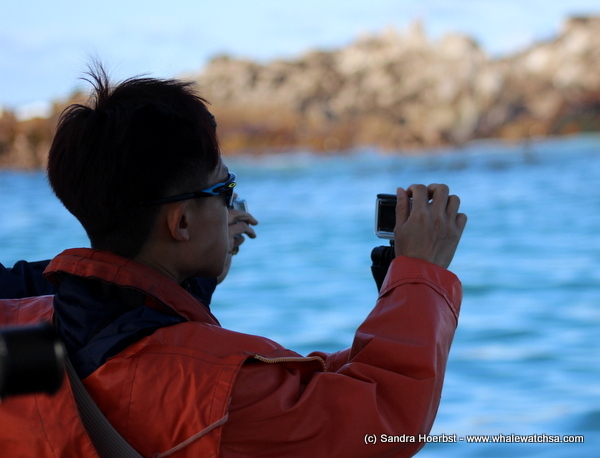 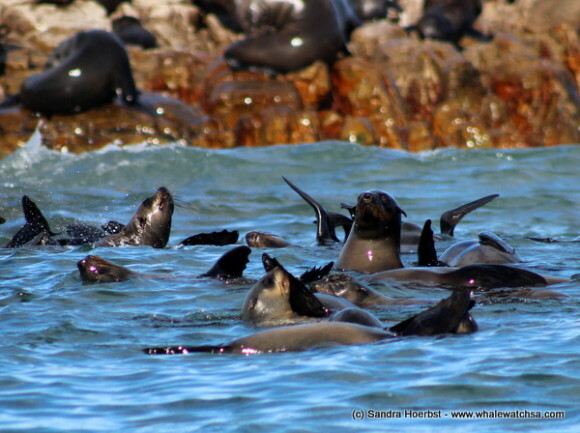 What a beautiful day with whales, sharks, birds and a sunfish.